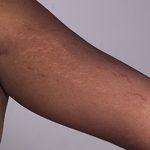 There are different types of heat rash, each with different forms of manifestation and range of seriousness. 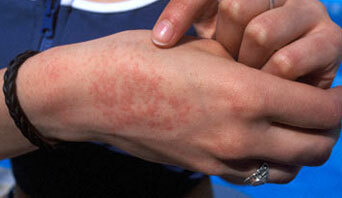 Miliaria crystallina is also known as clear Heat Rash. 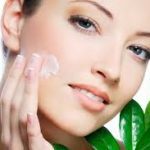 It is the most widespread and mildest types of heat rash. If you or your baby is suffering from miliaria crystallina, you’ll observe tiny clear to white globules or bumps filled with fluid on the exterior part of your skin. The effects of this form of heat rash is very mild. Thus, it doesn’t make you or your baby feel very much uncomfortable and has fewer symptoms. The bumps are caused by sweat bubbles that are trapped inside the skin surface. They usually burst open after sometime. The shallow vesicle doesn’t get inflamed. Miliaria crystallina also known as Sudamina or Miliaria crystalline is mostly experienced by infants and less experienced by adults. Red heat rash also known as Miliaria Rubra is the most widespread form of heat rash. 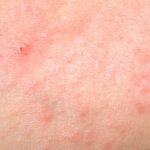 This type of heat rash is occasionally referred to as “prickly heat” due to its extreme itching and burning symptoms. This results when the sweat glands are blocked and the swelling gives the rash a red color referred to as rubra” from where the name Miliaria rubra was generated. This form of heat rash occurs deeper in the epidermis layer of the skin and thus usually causes more discomfort than miliaria crystalline. Swelling and pain on the skin. Bumps caused by miliaria rubra can occasionally be further filled with pus. This results to a skin condition known as miliaria pustulosa. If you and your baby is suffering from Miliaria rubra, he is at a minor risk of suffering from heat exhaustion as a result of inability to sweat. This particularly occurs if a greater proportion of your baby’s body is affected when you haven’t efficiently modulated the temperature around your baby. Miliaria profunda is as well referred to as deep heat rash. It is the least frequently seen types of heat rash. It can frequently happen again and tends to be chronic. This types of heat rash occurs deeper in the dermis layer of the skin. It basically occurs in adults after a stage of physical activity that causes them to sweat. Miliaria profunda shows signs of larger, strong and flesh-colored bumps. 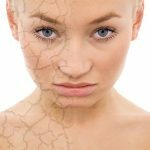 With recurring occurrences of heat rash, sweat glands in broader areas of the skin may be constantly inflamed and results to damage to deeper layers of the skin. This usually results first to large, hard bumps particularly after exercise or excessive heat exposure. Withhold sweat leaks out of the sweat gland into the skin, resulting to flesh-colored lesions that look like goose bumps. This is the most intense types of heat rash. It is thus occasionally called the “wildfire” as a result of the easy of the spread and the extent of its harsh burning sensations. This occurs when an individual has suffered consistently from miliaria rubra. The impediment is situated deep in the structure of the sweat gland, making the gland’s secretions to leak between the shallow and deep layers of the skin. The rash and related symptoms of these types of heat rash usually appear within hours of sweat initiating activity and is gone within hours if the environment around the skin is moderated back to normal. Signs and symptoms of Miliaria profunda are non-pruritic, flesh-colored, deep-seated, whith colored papules. This can easily result to heat exhaustion. Miliaria profunda is s well less-frequently referred to as Mammillaria. Miliaria pustulosa is another types of heat rash that is described as pustules as a result of its swelling and bacterial infection. Miliaria pustulosa is usually seen after another form of dermatitis that has caused injury, damage, or blockage to the sweat duct. When pustules appear in the form of red heat rash it is known as white/yellow heat rash or miliaria pustulosa. These boils may be the first signs of a skin infection and ought to be checked by expert medical personnel. Infrequently, the fluid that contains sacs vesicle of miliaria rubra becomes swollen, reddened and filled with pus. When this stage is reached, it referred to as miliaria pustulosa.